What type of scary movie viewer are you? Do you nervously watch through your fingers, or are you the person who screams at the screen to warn the unsuspecting, soon-to-be onscreen victim to GTFO of dodge? 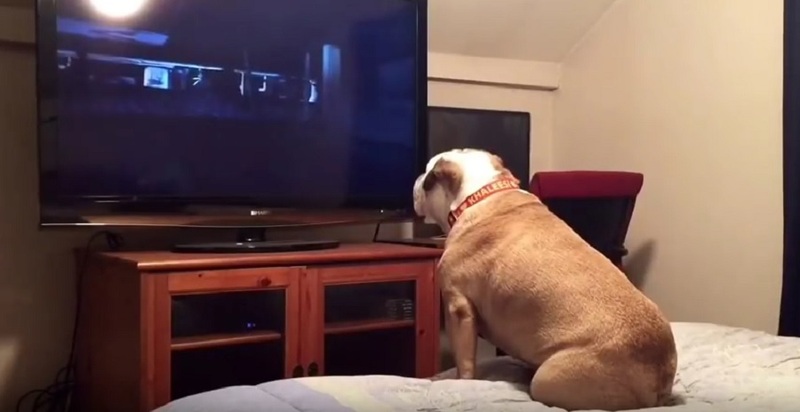 If the latter describes you, this dog watching a horror movie is basically you in animal form. Khaleesi the bulldog is proof that many dogs are instinctively protective of children, even if the kiddos aren’t, uh, actually in danger IRL. According to Bored Panda, Khaleesi’s human Dawn Curran filmed the animal watching a popular scary movies: The Conjuring. We have no idea why anyone would want to risk scaring the crap out of their pet this way, but hey, maybe that’s just us being huge wusses. However, Khaleesi was far from afraid. While viewing a scene in which the children become terrified of an evil spirit haunting their home, the protective pooch began barking at the screen as if to warn the characters of impending danger. "Khaleesi the bulldog loves watching horror movies and always tries to protect any potential victims from harm! 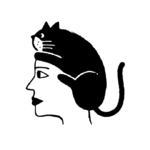 She is especially vocal when children are in danger as seen in this clip," the video caption reads. Atta girl, Khaleesi! It’s no secret why you’re named after the badass Mother of Dragons! Seriously, we’ve seen other animals try to sit through The Conjuring, and let’s just say they didn’t hold up so well. Ugh. We totally feel this doggie’s pain. And then there’s this terrified cat who couldn’t look away from unfolding horror drama if she tried. Sheesh. Maybe these pets could start watching scary movies with Khaleesi until they’re brave enough to face the screen on their own.